Did you get a firm “No” when you asked your crush if... they’d be free to, you know, if they didn’t already have a date… maybe go to prom with you? Or maybe tremors from a questionable seafood buffet, sending you to the bathroom for the next two hours? Was it a wardrobe malfunction, a drunk best friend, a regretful hair style , or maybe a slightly too-ambitious break-dancing incident…? No matter your prom trauma, you can rewrite your story at Prom: The Sequel! Thank you! Your registration for Prom: The Sequel is confirmed. 21+ Event. 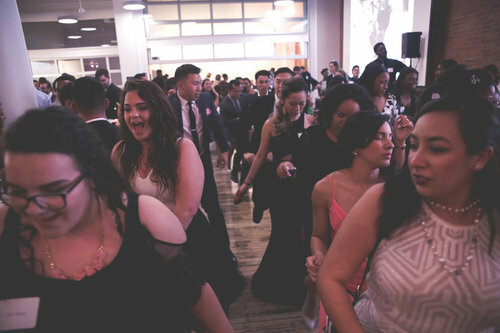 Prom done right with an open bar, buffet dinner, photos, dancing, raffles, and giveaways. Come dressed in your favorite throwback attire or the outfit you wish you’d worn back then! All ticket sales and proceeds raised at Prom: The Sequel will support 12 PLUS and Philadelphia high school students. Click HERE or contact prom@12plus.org for more information!